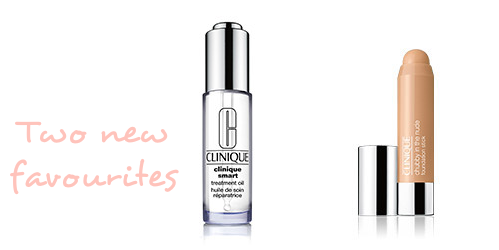 Recently I have found two new favourites from Clinique. The Smart Treatment Oil is just amazing and gives a more dewy skin and overall feeling. When applied it goes straight in, and I even use it a little bit up under the eye area. I have always been dry on the surface under the eye, but this actually does help, a lot. In the morning I definitely see that the skin is more hydrated and e.g my concealer smooths in better. The other new friend is the Chubby Stick as portable foundation. Very smart on the go. Glides on easily and perfect for a quick touch up during day or when going out after work. Eye area needs to be moisturised and nourished. So I think it's a good product. There have been many reviews about such oils written with the help of academic editing services - edit-ing.services. You can also use it. Is the oil treatment worthy to use? Suffering from back ache for years. Need an effective therapy to cure it asap.